The proposed project aims to drive a vehicle using a mobile phone. 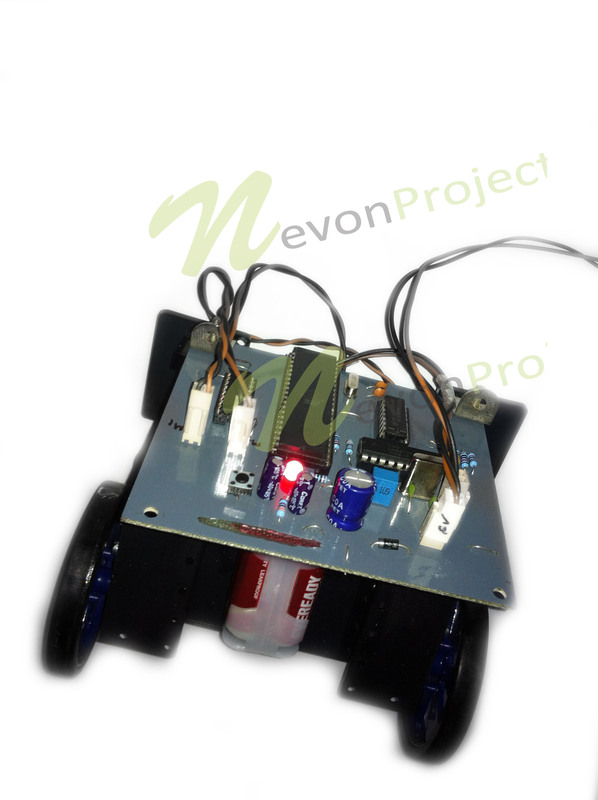 The project requires two mobile phones, one to control the robot that sends DTMF commands to another one mounted on the robot vehicle. 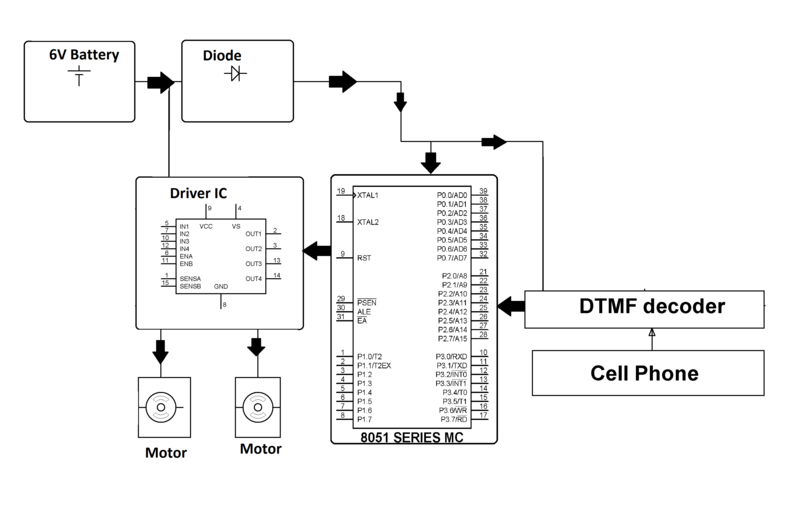 A DTMF decoder interfaced with the microcontroller of 8051 family receives the commands and with the help of a motor driver operates the vehicle movement. Thus according to the commands sent from the phone two DC motors enables the vehicle movement through motor driver IC. A battery is used for power source.